One of the leading brands of appliances we service is U-Line. Here is some basic information about their refrigerators and the features that makes them special. First of all, these high-end products seamlessly integrate into the kitchen, as opposed to the big, boxy models of yesteryear. As a result, this decreases kitchen traffic as models can be placed on the outskirts of the kitchen area, maximizing location and space without losing capacity. U-Line’s undercounter glass door and solid door refrigerators use a convection cooling system to rapidly cool items. Models include various shelving options, so you can keep the capacity of your refrigerator while enjoying a design that fits your specific needs. Models feature functional capacity and open interiors, along with adaptable shelving, storage bins, and crispers. The ultimate in streamlined technology, U-Line drawer models fit sleekly into a variety of environments, including kitchen islands. Drawer Models are offered in the 1000 and Modular 3000 series. These models are large capacity units that fit where you need them to, enhancing convenience and accessibility while preserving the integrity of your kitchen design. These sleek models combine either refrigeration and the crescent ice maker, or refrigerator and freezer. The combo models are still compact for smooth integration beneath countertops. All U-Line products allow you to choose from a wide range of accessories to suit the custom needs of your kitchen. 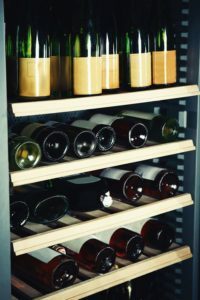 For refrigeration models, you can select custom drawer handles and bin organizers to enhance beauty and functionality. U-Line also offers lines of ice makers, beverage centers and freezers. Best of all, they don’t break down very often. But when they do, we are there to fix it for you. For help with repairs for U-line and other major appliance brands, contact us at C & W Appliance Repair at (214) 358-1496.